Come and play a drum with Everybody Drum Some on Make Music Day! 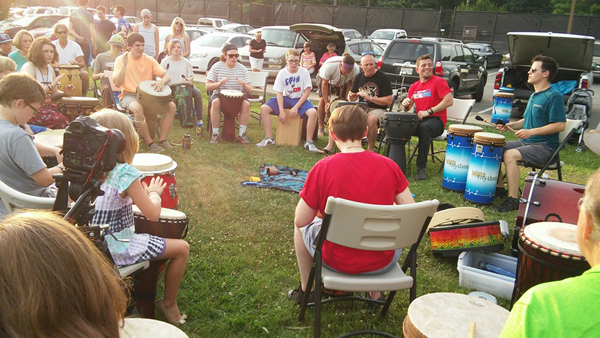 On Wednesday, June 21 from 6:30-8:30pm at Old Fort Park in Murfreesboro we will host a community rhythm event to celebrate the first day of summer. Instruments will be provided, but feel free to bring your own if you have one. No experience or expertise is required. All are welcome! We will gather together that night in the lingering sunlight to create some rich rhythms and to enjoy one another's company. Each person from ages 1 to 100 is welcome to come and add their rhythm to our community's song. 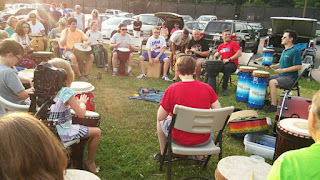 This kind of group drumming has been proven to be good for the body and good for the soul, and making recreational music together is a great way to build up our relations with our friends, our family, and our neighbors. So please join us at Old Fort Park this Wed June 21 at 6:30pm and let's have Everybody Drum Some!